White wood grain effect home office computer desk with two external shelves, a cupboard with a further two shelves and a smooth pull out keyboard shelf. 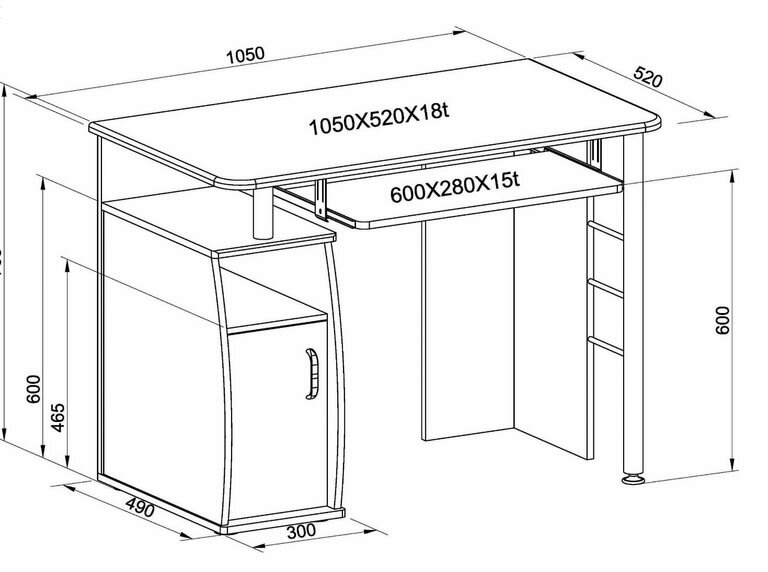 Dimensions of the desk top are 105cm x 52cm (41.5" x 20.5") and it stands 76.5cm high (30"). For full dimensions please see the diagram above. Easy to assemble with full instructions included.